You could have chosen Mezzanine or Blue Lines. Why Heligoland? Again, when you're talking about an artist, you're always talking about their most popular album. 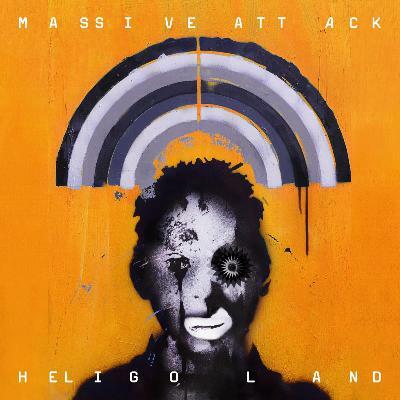 Heligoland is not one of Massive Attack's most popular records, but it's one of the best and carries all of the values of the band. The first time I heard 'Paradise Circus', it was a great song title because it discusses the opposites between heaven and hell. Massive Attack as a band are close to hell, because of their Faustian relationship with sound - it's dark, tribal, sensual and quite sexual. The circus side of them on the other hand has that nomadic approach in terms of sounds. When you create tension, it's always organised chaos. It's a minimalist, less-is-more-type of music that's on all Massive Attack records, but especially Heligoland. Also, with the track we made together, 3D did the cover art for the vinyl because he's a great street artist and painter. For me, Massive Attack are very visual and I love the cover art of this album as well. Did you find that their street art and your love of visuals is a good match together? You know what? That's an interesting point, because I discovered that people in the electronic music scene are quite interested in doing visuals themselves. It's true for me, Moby, Laurie, Massive Attack, for some artists in the Berlin scene who do lots of painting and videos. There's a close relationship probably because the technology is so close between software for sound and visuals.